Celebrated Canadian athlete, artist and educator, Lee Eisler was the nation’s number-one long jumper before she was 20 years old. 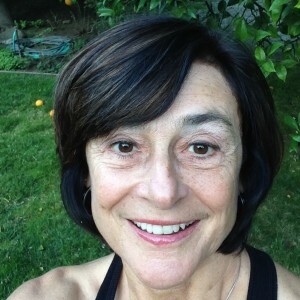 Earning her Bachelor of Education from the University of British Columbia in 1974, Eisler was a varsity track and field champion, setting the BC record for senior women’s long jump in 1971, a record that held for over 30 years. Over the course of her athletic career, Eisler set records at UBC and at the national level. As an internationally decorated athlete, she won bronze at the 1969 Pacific Conference Games and 1975 World Student Games, gold at the 1971 Pan American Games, and silver at the 1974 Commonwealth Games. In 1972, she proudly represented Canada as a long jumper and a member of the 400 meter relay team in the Munich Summer Olympics. At the age of 24, following a wave of athletic accomplishments, she discovered a passion for dance and moved to New York to pursue it as a career. This move began her evolution into the critically-acclaimed dancer, choreographer, artist, and storyteller. In 1984, Lee Eisler and Nelson Gray co-founded a dance theatre company Jumpstart Performance and established a history of work in new opera, interdisciplinary art, and dance theatre. Over the last three decades, they have produced some of the West Coast’s most notable theatrical movement art. Teaching has been at the heart of Lee’s pursuits and she has been a lecturer in dance at Simon Fraser University and a professor in theatre at California State Long Beach. Today Lee has taken her passion for teaching, theater and storytelling into the business world of Silicon Valley where she teaches ‘Finding Your Authentic Voice’ and ‘Improv-ability for Business’ at Stanford University. Through her company Presence Delivered she coaches high level individuals and teams in the business world of technology, wealth management, construction, sustainable foods, fashion and design.